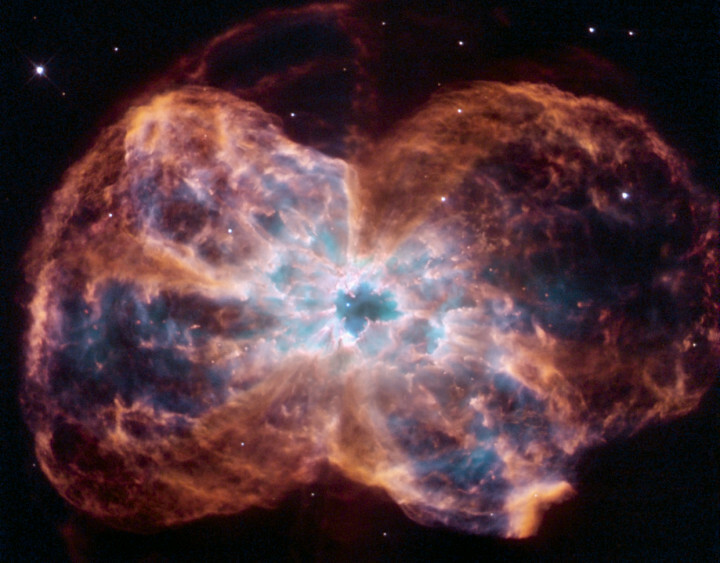 Explanation: Planetary nebula NGC 2440 has an intriguing bow-tie shape in this stunning view from space. 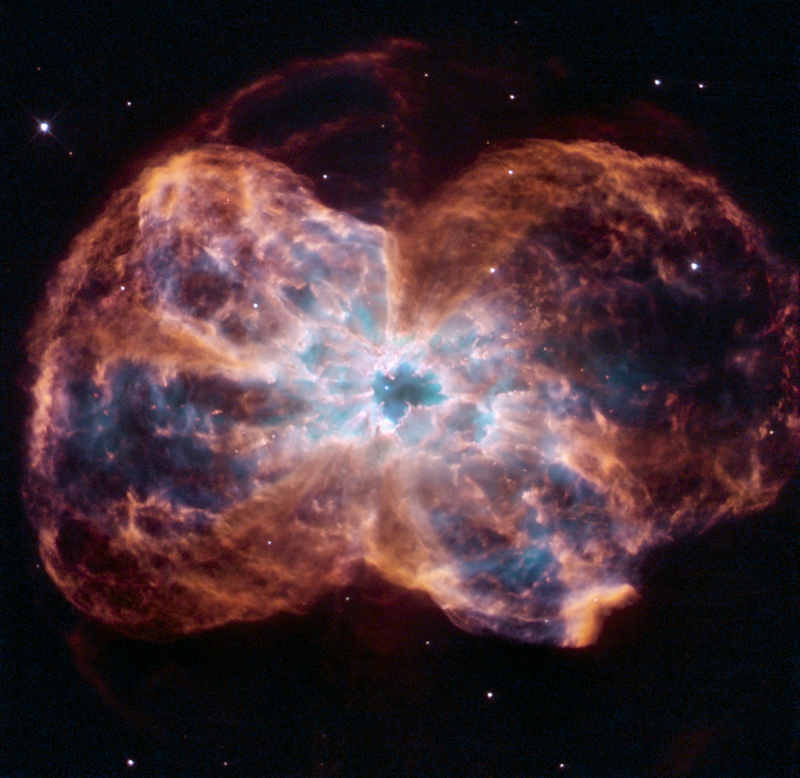 The nebula is composed of material cast off by a dying sun-like star as it enters its white dwarf phase of evolution. Details of remarkably complex structures are revealed within NGC 2440, including dense ridges of material swept back from the nebula's central star. Near the center of the view, the star itself is one of the hottest known, with a surface temperature of about 200,000 kelvins. About 4,000 light-years from planet Earth toward the nautical constellation Puppis, the nebula spans over a light-year and is energized by ultraviolet light from the central star. The false-color image was recorded earlier this month using the Hubble's Wide-Field Planetary Camera 2(WFPC2), demonstrating still impressive imaging capabilities following the failure of the Advanced Camera for Surveys.